On this day, July 24, 1824, what is believed to be the first-ever Presidential poll is conducted by a Pennsylvania newspaper. 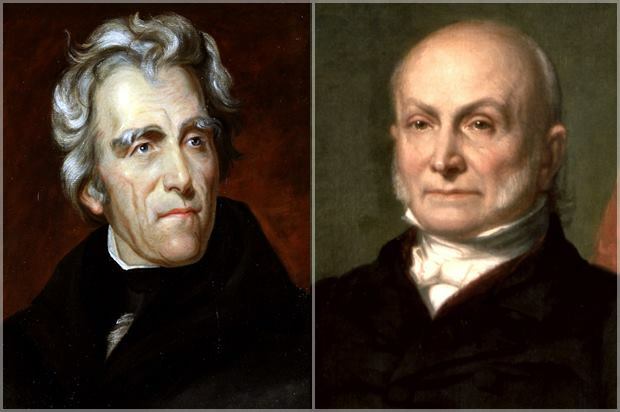 The results of the poll showed Andrew Jackson with 365 votes to John Quincy Adams’s 169. During that election Jackson would live up to expectations by overwhelmingly taking the popular vote, however, Adams won the Electoral College. Over 355-thousand people voted in the election of 1824. In those days elections took weeks to complete. There were four candidates for President in 1824: Adams, Henry Clay of Kentucky, Andrew Jackson of Tennessee, and William Henry Crawford of Georgia. None of these received a majority of the electoral votes so the decision fell to the House of Representatives (as provided in the Constitution https://freedomfactor.org/read-the-us-constitution/). They chose John Quincy Adams, on this day, February 9, 1825, as the 6th President of the United States. The Electoral College was put in place by the Founders because they didn’t think the common person would know enough about a candidate to directly elect him, so they devised a system where the people’s choice would be filtered through certain men who had the confidence of the people. These men make up the Electoral College. However, if this system didn’t produce a winner, the Constitution mandates that the vote goes to the House of Representatives. As a result, the people would now be TWICE removed from the process. Henry Clay is the Speaker of the House. Clay hated Jackson because Jackson once accused Clay’s fellow Kentuckians of being cowardly during the battle of New Orleans. Now Clay, as Speaker, controls Jackson’s fate. Clay successfully swayed enough members of the House to cast their vote for Adams. After the election Adams chose Clay as Secretary of State. These moves enraged Jackson. He accused Adams and Clay of making a “corrupt bargain” and the Jackson men were angry. Adams had a tumultuous four years in office as a result of the manner in which he won the election. 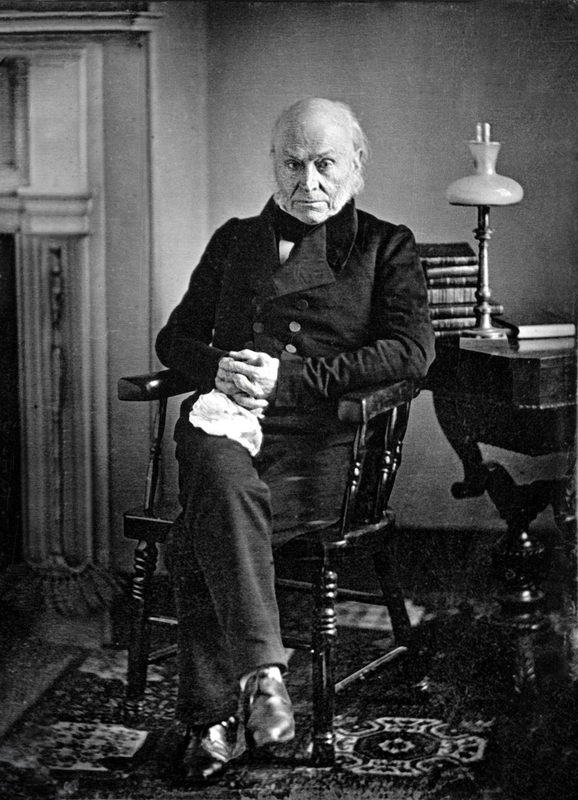 I think to properly judge John Quincy Adams we must consider his subsequent career. There’s no proof of a “corrupt bargain.” Partisan political insinuation isn’t proof. However, an accused man’s subsequent behavior speaks volumes, as we shall see. Adams had big plans as President. He wanted to explore the west and implement a type of “new deal.” Adams wanted the Federal Government to build new stone roads and canals to connect the states. During his administration, in 1825, the Erie Canal opened. The following year the first railroad of the United States was completed. President Adams also wanted to create a National University, a National Astronomical Observatory, and promote scientific advancements. Congress, however, wouldn’t cooperate. They shot the President’s plans down saying they were unconstitutional. But it seems personal motives guided some Congressmen, not Constitutional principles. Adams was un-popular because of the circumstances surrounding his election and the Jacksonians despised him. Adams lost re-election. Some think that once a person serves as President any other job is “beneath” him. John Quincy Adams didn’t think so. Two years later he returned to Congress where he remained for the next sixteen years. There John Quincy Adams took the lead in the fight against slavery and was outspoken against secret societies. Even in his advanced age he was so skillful and energetic in debate people started calling him, “the old man eloquent.” His fame as the champion of popular rights only increased with every year. Does this sound to you like a man who made corrupt bargains? Time has been on John Quincy’s side. Some of his contemporaries didn’t like him, mostly because of partisan politics. However, his character has been vindicated by his career; his ideas and plans, though shot down by his contemporaries, were promoted by future Americans and are lauded by many to this day. This entry was posted in Uncategorized on July 24, 2017 by dsheridan.